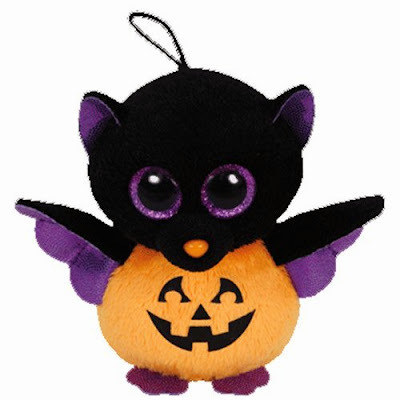 This cute little plush bat is a Webkinz by Ganz. He costs less than $10! 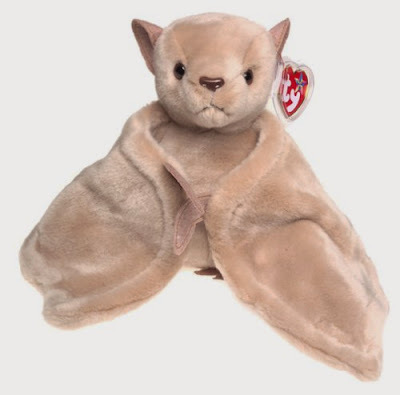 This little brown bat is a Beanie Baby. Don't hold that against it! 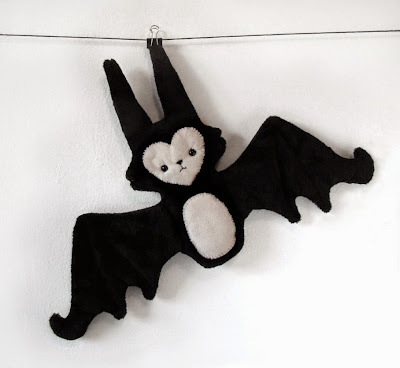 This adorable batcat plush is by Blacklilypie on Etsy. 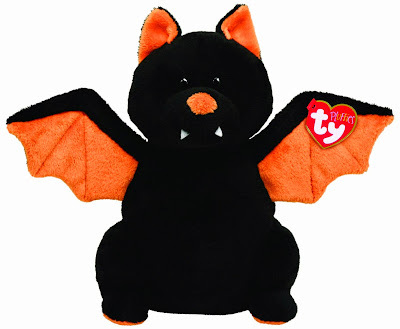 This is a Teddy Bear Bat! 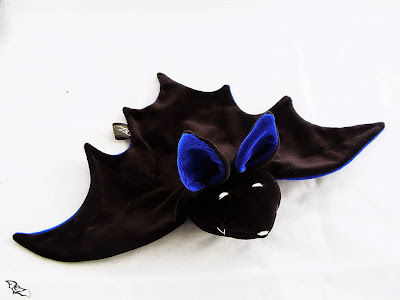 This blue Cuddle Bat is made in Berlin, Germany. 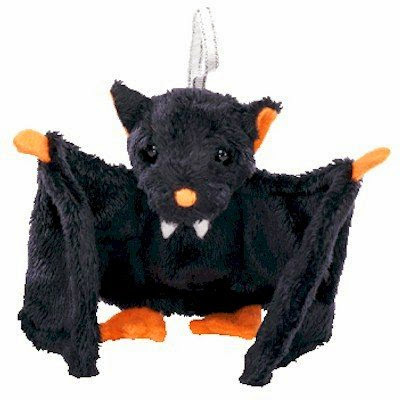 The seller offers cuddle bats in many other colors too. This is a Mama Radar Bat. 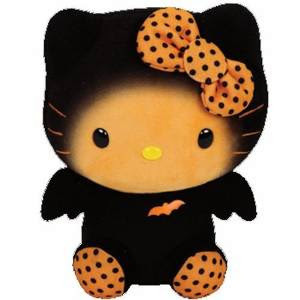 Aww, here's a little Hello Kitty Halloween bat. She's also available on eBay. This Beanie Batty is wearing a pumpkin Halloween costume. This little black bat is called Moonstruck. 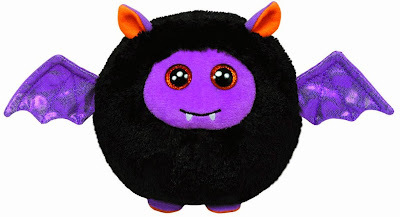 This little toy is called Beanie Ballz Batty. 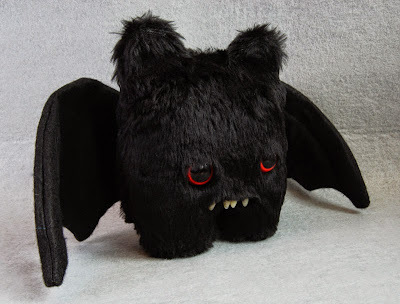 This bat toy is a Vamplets plush named Hector. 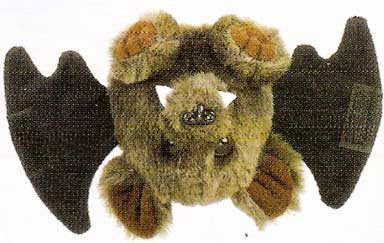 This plush bat is a Bellapops from Ganz. 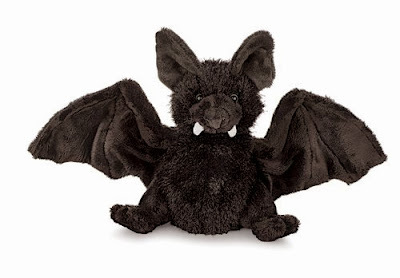 This Bat-E Beanie Baby bat looks sad and in need of a hug. 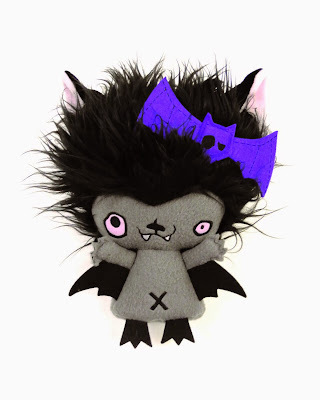 This Skelanimals bat is a Day of the Dead toy named Diego.